The sub 4-metre subcompact SUV segment of which the new Tata Nexon is one of the most popular and most aspirational automotive segments in the country. Maruti Suzuki consistently sells over 10,000 units of the Vitara Brezza every month and the Ecosport single handedly helped recover Ford India’s lull a few years ago. Mahindra has four SUVs in this segment too – the TUV 300, the Bolero Power+, the KUV 100 and the NuvoSport and even Hyundai and Datsun will soon launch brand new SUVs in this segment. So it was only obvious that sooner or later, any automaker who wants to be a real volume player in the Indian market needs to have a model present in this segment. Tata Motors first showcased a concept compact SUV called the Nexon at the 2014 Indian Auto Expo and an almost production ready version of the Tata Nexon at the 2016 Indian Auto Expo. While most of us expected the production SUV to be watered down version of the concept, the Indian automaker has surprised us by launching the Tata Nexon subcompact SUV that is very close to the concept’s original look and design. And the last time that happened was when Jaguar launched the F-Pace! So read on to know more about the brand new 2017 Tata Nexon! 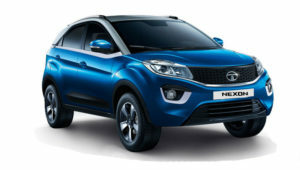 Tata is offering all-new petrol and diesel engines in the Nexon. Both can be upgraded to BS-VI norms as and when the mandate comes in. While the basic architecture of the 1.2-litre indirect injection turbo-petrol engine is the same as the Tiago’s 3-cylinder motor, Tata says that they have used all the know-how from the Zest’s turbopetrol unit and incorporated it here. So while the block remains the same, the engine is lighter than the Zest’s turbocharged unit and also makes 110PS of power and 170Nm of torque. These figures in the compact SUV segment are lower than that of only the EcoSport’s 125PS turbo-petrol engine.The diesel, in the meanwhile, is a 1.5-litre unit that makes the same amount of power as the petrol but a significantly higher 260Nm of torque. Both the engines are mated to 6-speed manual transmissions, with AMTs to be slotted in at a later date. Tata also offers the aforementioned Drive modes in both the variants. The Drive modes can be accessed via the rotary knob and can be changed on the move. The good part about this dial is that whatever mode you’ve selected, there will be an audio note telling you the selection and the colour of the infotainment system too changes a la Mini Cooper style. The dial also remembers the last selection made and sticks to it even after the car has been switched off. in the city while Eco dulls out the throttle response and requires a bit more of patience when hurried progress is to be made. Where the Nexon scores top marks, however, is in the ride and handling department. Ride quality isn’t pillow-soft and you do feel some of the larger bumps, but the suspension rounds off sharp edges brilliantly. The little bit of stiffness in the suspension also means there is not much pitching or bobbing and body roll is well contained despite the Nexon’s height. There is a bit more up-down movement in the lighter petrol car, but on the whole ride quality is really impressive. The steering, borrowed from the Zest, is spot-on and one of the best electrically assisted units we’ve experienced in this class of car. It has a reassuring on-centre feel and weights up perfectly as you pile on the lock. All of this translates to brilliant overall stability, and with a best-in-class 209mm of ground clearance, and lots of wheel travel you really don’t need to slow down for potholes.The stiff chassis, impressive brakes and generous grip from the fat 215/60 R16 tyres give a lot of confidence through corners. It doesn’t feel as keen to drive as an EcoSport and isn’t as surefooted either, but work up a rhythm, keep the engines in their sweet spot and you’ll be nicely rewarded. So it seems, Tata’s holistic approach towards the Nexon has paid off. The flamboyant styling, superbly finished cabin, modern tech along with impressive performance are sure to win many hearts. Moreover, Tata is already revamping the dealership and aftersales experience to welcome the Nexon.Yet, we all know that it’s not going to be cakewalk for the Nexon as it will be running into formidable competition from the heavyweights like the Vitara Brezza and the Ecosport. However, despite a few minor niggles, the Tata Nexon is well-placed to put the competition to shame and rake in good numbers. Nissan has been in India since a few years with limited products in their portfolio. Nissan’s range revolves around high end cars such as the Nissan Teana, Nissan X trail, and the recently launched sports car, the 370Z, all of which are imported as completely built units thereby justifying their price tags. 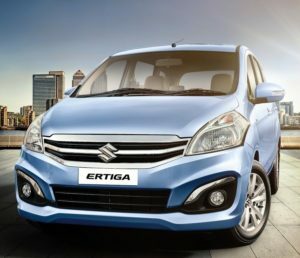 India has emerged as the fastest growing automobile market in the world and the small car segment is boiling with almost unlimited options and Nissan adds another quality product to their portfolio in the form of the Nissan Micra, a small car which was perhaps the most awaited launch of the year. Nissan has high expectations from the Micra since it is the first of its mass production cars in India based on the all new ‘V Platform’. We drive the Nissan Micra and judge for ourselves. ; Accommodation itself, mind, is entirely adequate, especially given the Micra’s compact dimensions. There’s considerably more shoulder room than in its predecessor, decent enough rear accommodation and a boot that’s competitive in the sector. It’s an airy cabin, too, thanks to a low window line and large glass area. It remains a pity, though, that there isn’t more to surprise and delight in here. As we mentioned before there are four trim levels to choose from – Visia Limited Edition, Vibe, Acenta and n-tec. 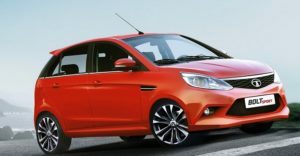 The entry-level models come with 14in steel wheels, speed-sensitive steering, Bluetooth and USB connectivity, six airbags and front electric windows, while upgrading to a Vibe specced Micra adds alloy wheels and air conditioning to the package. The mid-range Acenta trim equips the small Nissan with 15in alloys, a rear spoiler, cruise control, auto wipers and lights, and electric door mirrors, while the range-topping n-tec models come with 16in alloys, rear parking sensors and a 7.0in Nissan Connect touchscreen infotainment system. The new facelifted Micra features the same two engines in the same state of tune. 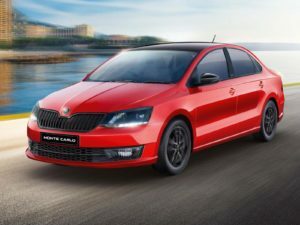 The 3-cylinder 1.2-litre petrol engine has seen a slightly bumped up peak power level (80 PS) in some other markets, but here it continues to offer the same 76 PS of peak power at 6,000 rpm and 104 Nm of peak torque from 4,000 rpm. The diesel engine is also the same 4-cylinder, 16-valve, 1,461cc mill that generates 64 PS of peak power and maximum torque of 160 Nm from a low 2,000 rpm. The only difference is that now the petrol version of the Micra is also being offered with an automatic transmission. The same CVT gearbox used in the Sunny XTRONIC CVT has been put to work in the Micra. This continuously variable transmission continues to be set at a high ratio of 7.2 and has been paired with the 1.2-litre engine to offer higher fuel efficiency than the 5-speed manual transmission version. Nissan claims that the new petrol CVT powertrain offers a mileage of 19.34 kmpl (Nissan internal estimates, not ARAI rated), whereas the manual transmission variant offers a mileage of 18.44 kmpl. Shooting through traffic is an absolute joy thanks to all that power at hand and coupled with an extremely plush suspension setup the Micra simply gobbles up the roads no matter what the condition. On the highways though things change quite a bit. While the car can cruise pretty effortlessly at ton up speeds, it’s not really in its element when fast corners are brought into the picture. And then we come to the braking. Though adequate around town, braking hard results in immediate locking of the wheels. The culprit here are the non-ABS brakes. Why Nissan decided to omit a necessary safety feature like ABS is simply beyond us. Like most Nissan car models, the hatchback is loaded with plenty of safety features such as driver airbag, central door locking with remote keyless entry, Follow-me-home lamps, engine immobilizer, an intelligent key with push button ignition of the car, seat belts, driver seat belt warning indicator, rear parking assistance, driver side power window with auto down feature etc. While the passenger airbag, side airbags with supplemental restraint system, ABS (anti-lock braking system) with EBD (electronic brake-force distribution), brake assist (BD) and immobilizer with alarm are available only on the top-end variant. Luckily for Nissan, the general public will disagree with me and the new Micra will turn heads wherever it goes. On the inside, the new Micra is a much improved, much nicer place to be. It’s easy to see what Nissan has done; they’ve raided the Sunny parts bin to good effect. What this also means is that the price increase won’t be as much as we expect it to be. The Micra brand still has to establish itself in the Indian psyche, and the one thing holding it back is the quality of service that Nissan offers. If Nissan can fix that – and surprise us with the price – then we don’t see why you shouldn’t opt for the Micra. Nissan Micra Xl Cvt Ex-showroom Price is 5,97,887/- and On Road Price is 6,42,244/- in New Delhi. Nissan Micra Xl Cvt comes in 6 colours, namely Sunshine Orange,Brick Red,Blade Silver,Storm White,Turqouise Blue,Onyx Black.EMI calculator for Nissan Micra. Hyundai’s executive saloon Elantra is indubitably one of the most modish-looking premium saloons in its segment. The latest version of the saloon houses few styling upgrades on the outside while prominent tweaks have been made inside the cabin. Nothing changes on the mechanical front. That said, the saloon continues to get power from the same set of engines. Available in petrol as well as diesel guises, the Elantra range includes three petrol and four diesel variants along with two automatic options proffered, one each in petrol and diesel engines. The entry level base variant is available only with the diesel engine option. This trim is bereft of various equipment available in the variants positioned above it. Hyundai has taken the overtly curvaceous shape of the previous Elantra and sharpened things considerably. For starters, the grille is now a single, hexagonal, chromed unit. The headlamps lose the body hugging curvature from before and now pack LED DRLs flanked by HID projector lamps. The Indian-spec Hyundai Elantra doesn’t get the LED foglamps that the North American model does. In its place is a projector fog lamp within the same boomerang-shaped housing. The side profile looks similar to the outgoing car but the roofline at the rear is even more coupe-like and ends directly in the boot section which packs an integrated spoiler. Hyundai have adopted a similar boot opening technique seen in the new Skoda Superb. With the key in your pocket, wave your foot under the boot once. Announcing that the car has sensed this movement, the indicators will blink four times after which the boot opens. It’s a nice option when you have both hands full and need to open the boot. Tyre size is the same 205/60 R16 but they are now low rolling resistance Hankook Kinergy rubber wrapped on tastier looking wheels. This new Hyundai Elantra is slightly longer than the outgoing car at 4,570mm, 5mm more in width (1,800mm) and lower in height (1,470mm) by 5mm. The ground clearance too is lower by 2mm at 165mm. The interiors also have the fluidic theme. The dashboard has soft touch materials and the dual-tone trim adds to the premium feel. Quality of materials is good and the interiors are better than many cars in the segment. Attention to detail is good, and the theme caries on undisturbed. Hyundai has ensured that the seats are comfortable and there is sufficient space in both the rows. The seats are large making it comfortable for long trips. The rear seats for the first time are hard and have comfortable seating position. This makes it a good option to consider. The equipment list is large too. It has keyless entry and start/stop button, a dual zone climate control system, a cooled glovebox, electrically adjustable, heated and foldable ORVMs, Bluetooth audio with navigation, audio controls on the steering and also on the rear armrest for rear passengers. The Elantra will be equipped with Apple Car Play on an eight-inch touchscreen system. The Hyundai Elantra 2016 also comes loaded with six airbags and also has ABS with EBD, ESP, speed-sensing door lock, central locking and an engine immobilizer as well. The Hyundai Elantra is available in both petrol and diesel engine options. Hyundai is using a new 2.0-litre petrol engine which punches out 151 HP & 192 Nm. This engine comes mated with both manual and automatic transmissions. We got a chance to drive the petrol automatic variant at the media test drive. This new motor feels quite peppy and has a strong mid & top end. The 6-speed automatic gearbox mated to the petrol engine is the second generation autobox and is more refined now. However, being a single clutch transmission, there is some amount of lag, you feel it more once you completely floor the pedal to the metal. This engine delivers an ARAI certified fuel economy of 14.59 km/l and 14.62 km/l with both the manual and auto gearboxes respectively. The diesel is the same tried and tested 1.6-litre U2 CRDI engine which has been refined as per Hyundai claims. It still delivers the same 127 HP of power and 260 Nm of twisting force. Power delivery is linear and power feels quite adequate. Mated to this oil burner is a 6-speed automatic and manual transmission which has been carried forward from the previous generation model. Hyundai claims that the diesel Elantra is the most fuel efficient sedan in its segment delivering 22.54 km/l as per ARAI standards. Hyundai has worked to improve NVH levels too. There is barely any wind or tyre noise heard inside the cabin. Even the engine bay is well insulated. The Elantra’s safety systems also get an upgrade. Structural improvements have been made to help reinforce several key areas. The connection between the dash and the cowl have been reinforced, the front end now features a straightened load path to the A-pillar, the B-pillar area has been strengthened with hot-stamped steel, and the side impact beams have been improved.Of course, staying out of an accent is better than just surviving one. The Elantra now has a full suite of electronic aids, including Lane Keep Assist, Blind Spot Detection, Rear Cross-Traffic Alert, and Lane Change Assist. As with most cars these days, electronic stability control, vehicle stability management, traction control, ABS, and a tire pressure monitor system all come standard.But not only does the Elantra come with those safety features, this entry-level compact sedan now offers adaptive cruise control, or as Hyundai calls it, Smart Cruise Control. The HID headlights are also active, following the steering wheel inputs to illuminate into turns. The Hyundai Elantra has further improved its value for money proposition, has better quality interiors, added a few more features to its exhaustive list and is now also offered with a new and larger petrol engine. It might not be as engaging to drive as its European counterparts but that’s not been this segment’s forte anyway. So if you’re looking for a large comfortable sedan, with widespread service network and low running costs you might consider dropping by a Hyundai showroom close to your home. Hyundai Elantra Ex Showroom Price in Bangalore ranges from 12,97,452/- (Elantra 2.0 MPI S) to 19,36,907/- (Elantra 1.6 CRDi SX Optional AT).Hyundai Elantra has 9 Variants of Petrol are available in India. Hyundai Elantra comes in 5 colours, namely Sleek Silver,Phantom Black,Marina Blue,Red Passion,Polar White. CARY, N.C. and SYRACUSE, N.Y., Nov. 8, 2017 /PRNewswire/ — Employers from every industry are clamoring for people with analytics skills to help them turn data into meaningful information to make better decisions. Military veterans and family members can pursue the hottest careers today, thanks to a collaboration between the Institute for Veterans and Military Families (IVMF) and analytics provider SAS.